The inaugural film festival at the University of the Virgin Islands is coming to a close but for its’ participants and organizers, the impact continues. 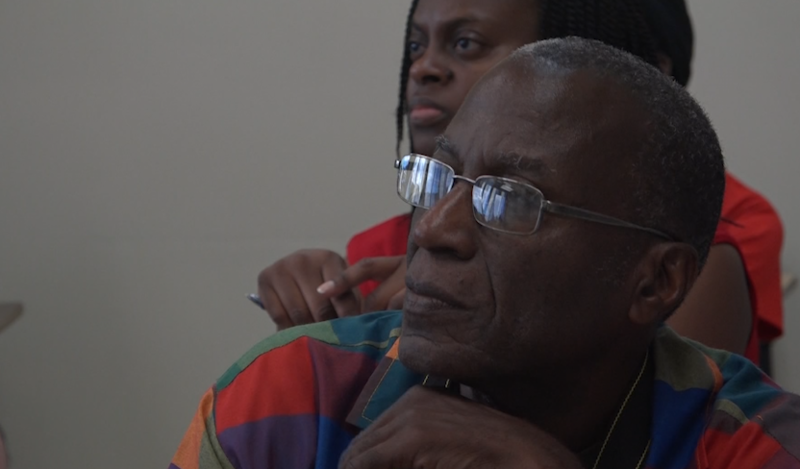 Dozens of filmmakers, students and film enthusiasts came together on St. Croix at the UVI campus for the first ever film festival, highlighting the work of UVI students and international filmmakers. Along with special seminars and workshops in the industry, including our own Kellie Meyer. Some of those speakers and filmmakers talked with USVI about the weekend. “I’ve been doing film since 2006 and always heard about film festivals to network and meet people so when I heard UVI was holding one, this is my first one, and I feel right at home,” Ramon Richardson, a filmmaker from St. Croix said. “It is so significant that St. Croix has taken time to expose filmmakers and the importance of film, particularly for young girls. Young girls need to have role models that they look forward to which inspire them to think bigger to grow bigger to want to be doctors and lawyers and whatever their dreams take them to,” Dr. Glennis Gaines, a guest speaker from Augusta, Georgia said. “It’s awesome I think it is the start of something big. Because I have a vision where I can see UVI really getting into film and broadcast and creating their own storytelling telling what it is that is special about UVI and if we can do that we can control the message we put out and we can put out a specific message we can show a lot of events like this,” Anthony Laurent, another filmmaker added. All proceeds from the film festival go back into the Communications program at UVI.